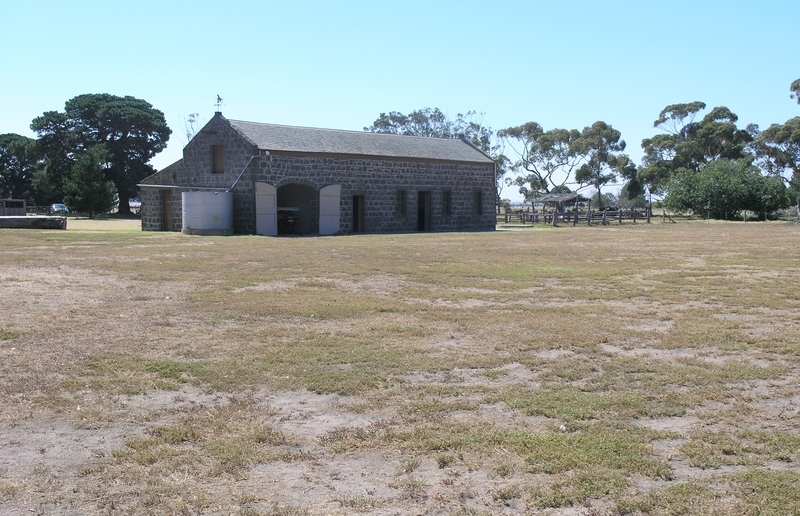 Brothers Thomas and Andrew Chirnside took up a sheep run at Point Cooke (later Point Cook) in 1852 and it became the home-station for their increasing pastoral runs in the west of the colony. The Chirnsides later established homesteads at Werribee Park, Carranballac, Mount William and Curnong. The main Point Cook(e) Homestead, built c1857, is a single storey bluestone house of seven rooms with an attached service wing of four rooms, and a semi-detached weatherboard wing. There is no evidence of the involvement of an architect in the design, although it shares some features with other Chirnside homesteads. 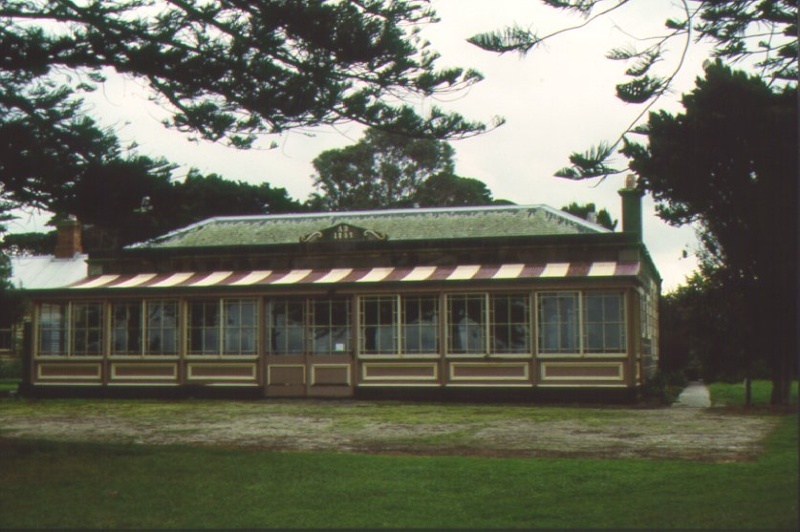 An enclosed verandah facing the coast has the date 1857 inscribed on its front parapet. The detached timber building now containing a meat house, dairy room and the ?Rabbiters Hut? may be the earliest structure on the site and dates from 1849. The Chirnside?s imported horses of fine bloodlines to the property and the bluestone stables were built for them in the 1860?s. The stable is constructed of coursed bluestone rubble with a gabled slate roof. The stable retains much of its early fitout including the coach room, saddle and grooms room, loose boxes and hayloft. A number of horses from the property were successful, including Haricot who won the 1874 Melbourne Cup, Tom Kirk who won the 1880 Caulfield Cup and Newminster who won the 1878 Geelong Cup and the 1879 Caulfield Cup. The Homestead settlement was not located near any known fresh water supply. As a result there is a particularly extensive domestic water storage system including underground and above ground tanks. The Chirnsides built a jetty on Point Cooke for shipment of wool prior to the Melbourne to Geelong railway being established in 1856. The Werribee run was operated as an equal partnership between Thomas and Andrew Chirnside until 1882, when Thomas signed over most of the run to Andrew, retaining only Point Cooke Homestead and a few favourite paddocks. George Chirnside (Andrew?s son) was the benefactor after the death of Thomas in 1890. George and his wife Annie used the Point Cook Homestead as a summer retreat and winter hunting lodge, whilst residing permanently in the city. The timber wing of the main homestead was added at some time between 1895 and 1911 to accommodate their guests. The Point Cooke property was sold to Sydney Dalrymple in 1920. He lived there for five years and built the existing jetty. The property changed hands several times before being acquired by the Melbourne Metropolitan Board of Works in 1978 in a state of disrepair. The Homestead and Stables have since undergone conservation works. Conifers comprising pines, cypress and araucaria were planted extensively in the nineteenth century as windbreaks and specimen trees around the homestead and amongst the outbuildings. To the west of the homestead are the remains of an unusual rectangular garden bed divided into three sections defined by rock edging and including the rare use of shell paving material. There are remnants of bulb planting and a large Bougainvillea in the bed. An exceptionally large edible fig is located to the north of the stable. An old road and path system including stone paving around the homestead is largely grassed over. There are large timber gateposts to the east of the homestead, remnants of a horse lungeing yard, and post and rail fence remains. Due to the early occupation and development of the site it is likely that there are a number of sites of archaeological importance, including remnants of former buildings, garden features and tree locations, roads and paths, rock paving, and the jetty. 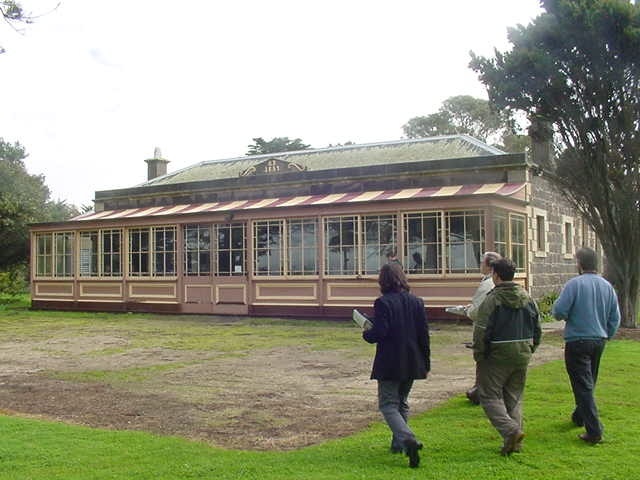 The Point Cook homestead complex is of historical, aesthetic and scientific significance to the State of Victoria. 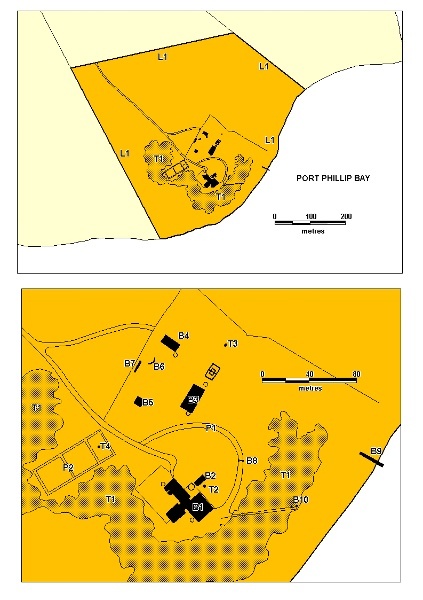 The Point Cook Homestead is of historical significance as one of Victoria?s earliest pastoral homestead complexes. The complex consists of a particularly early timber house c. 1849 and the main bluestone homestead built in 1857. The bluestone stables are of historical significance in their own right because they accommodated famous racehorses such as Haricot, Tom Kirk and Newminster. 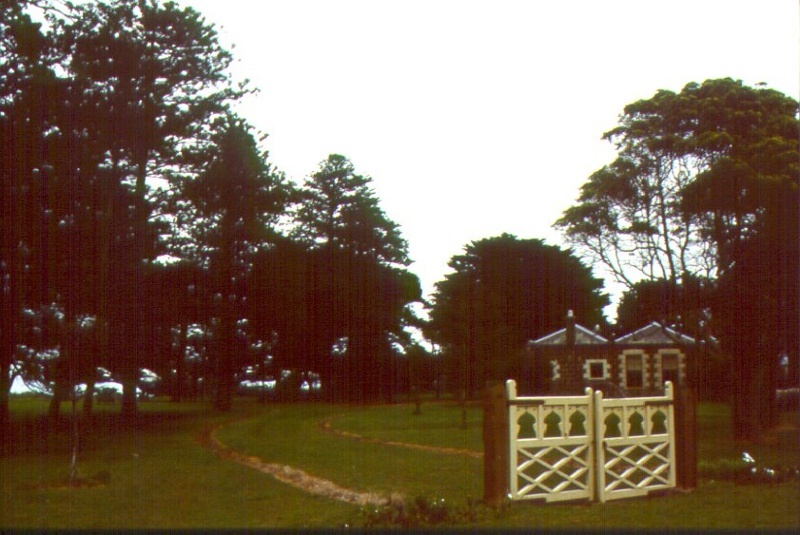 The Point Cook Homestead garden and parkland is of historical and aesthetic significance as an enclosed landscape setting to an important complex of buildings. The nineteenth century conifer plantings provide wind protection and give definition to the homestead garden. The windbreak planting is comprised of Monterey Pine and Monterey Cypress along the south, west and to the east sides. The east planting also includes three Stone Pines, three Norfolk Island Pines in front of the house and a single Bunya Bunya Pine which due to its location, size and form, is an important landmark. The contrasting forms of the groups of different conifer species are a significant landscape feature. The four Norfolk Island Pines which line the driveway to the front of the homestead, the five narrow Italian Cypress and the single Canary Island Date Palm provide further contrast in the landscape. 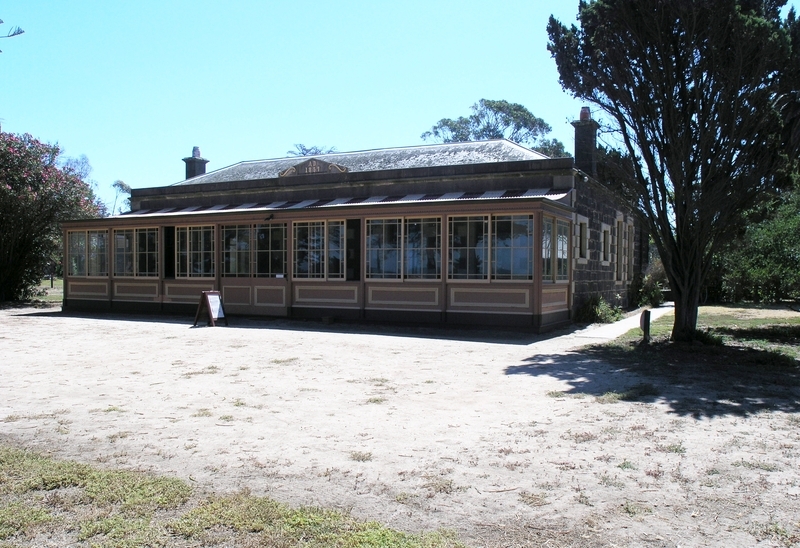 The Point Cook Homestead is of historical significance as an early rural landscape that is unusual for its location away from a ready fresh water supply on a site chosen for its immediate proximity to Port Phillip which provided a transport route for stock to Melbourne. The Point Cook Homestead is of historical significance for its association with the Chirnside family who were key pastoralists in the early settlement of rural Victoria, with vast pastoral holdings throughout the western plains. Point Cooke played a major part of the Chirnside lifestyle at Werribee Park, as it was a working pastoral property, but also the site of hunting and sporting activities which involved large gatherings. The Fig (Ficus carica cv.) to the north of the Stables is of scientific (horticultural) significance for its exceptionally large size, and is the largest known in Victoria. Comparable specimens that occur at Burnley College are smaller trees. The tree may be of horticultural importance as an unusual nineteenth century cultivar. 4. All of the land marked L1 on diagram 1509 held by the Executive Director. Point Cook was named after John M Cooke who was a mate on HMV ‘Rattlesnake’ which used to chart Port Phillip Bay in 1836. The land at Point Cook Promontory was first occupied by William Taylor in 1849, who later occupied ‘Overnewton’ in Keilor. Taylor built a stone hut there and later sold the holding to Alexander Irvine. Irvine built a seven room stone house, detached kitchen and woolstore before selling the property to Thomas Chirnside in 1851. Thomas Chirnside had arrived earlier in 1839 from Scotland and he settled in Werribee in the 1840’s after travelling extensively around settlements in Australia. 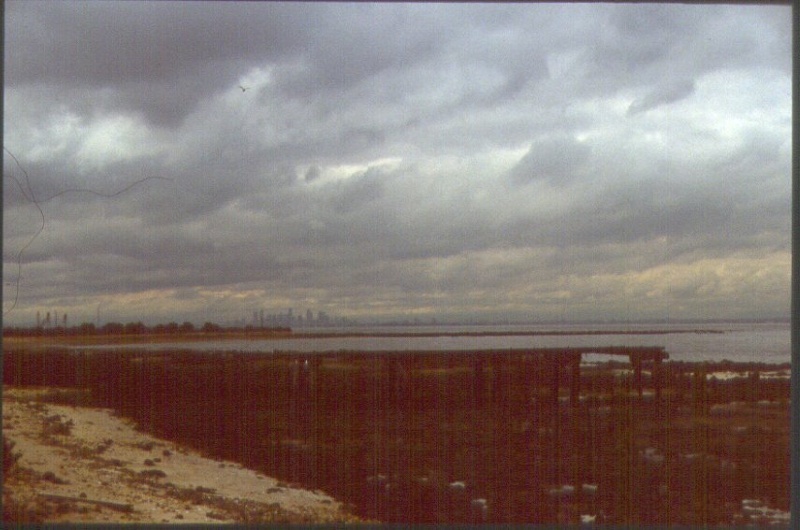 Point Cook was used by Thomas and Andrew Chirnside for sheep rearing and it was the home-station for their expanding pastoral runs. They built a jetty for shipment of wool prior to the Melbourne to Geelong railway being established in 1856. Although the original jetty does not exist there are remnants of a later jetty on the point. The Chirnside’s pastoral empire expanded and several homestead were established such as Werribee park, Carranballac, Mount William and Curnong. There was extensive hunting and sporting activities after foxes and deer were introduced to Point Cook and Werribee in 1859 and the Geelong and Melbourne Hunt Clubs often participated in hunts held at Point Cook. The Chirnside’s imported horses with fine bloodlines and the bluestone stables were built as a result in around the 1860’s. Some horses from the property were successful such as Haricot, who won the 1874 Melbourne Cup, Tom Kirk who won the Caulfield Cup 1880 and Newminster who won the Derby, Geelong Cup, 1878 and the Caulfield Cup in 1879. It was said that the property once had three race tracks. The Point Cooke and Werribee Park holdings were run as one establishment until they were divided equally among the brothers. George Chirnside (Andrew’s son) was the benefactor after the death of Thomas in 1890. George and wife Annie, used the Point Cooke Homestead as a summer house and winter hunting lodge, whilst residing permanently in the city. It was sometime in this period between 1895-1911, that the timber wing was added to accommodate their guests. The Point Cooke property was sold to Sydney Dalrymple in 1920. He lived there for five years and built the present jetty of which only remnants remain. After several other owners, the property was acquired by the Melbourne Metropolitan Board of Works in 1978 in a state of disrepair. The property building have since been restored. The Point Cooke Homestead is made up of a seven roomed stone house built for the Chirnside family in 1852. There is a detached timber building containing the original meat house. It is highly probable that this building predates the homestead of 1857 and this may be Taylors or Irvines homestead of 1849. The Homestead is probably not architecturally designed, although its features are similar and echo other Chirnside Homesteads. The Point Cook property operated as an integral part of Werribee Park. * Maintenance and repairs which replace like with like. * Interior painting and wall papering provided the preparation work for painting/papering does not remove evidence of the building’s original paint or other decorative scheme. * Removal and/or installation of carpets and other flexible floor coverings such as vinyl. * Installation of hooks, nails and other devices for the hanging of paintings, mirrors, and other wall mounted objects. * Refurbishment of kitchen and bathrooms. * Rewiring, provided new wiring is concealed, and any original light switches, pull cords and GPOs are retained insitu. * Installation of hydronic or concealed radiant (eg. under carpet) heating provided that the installation does not damage existing skirtings, architraves, and other surfaces and provided the boiler unit is concealed from view. * Any changes to the building (B4) which occur within the existing built envelope which include the skillion verandah extensions. * Painting of previously painted walls, timber and roofing in the same colour or original colours. * Treatments to stabilise and protect timber, masonry and iron structures. * Renewal or replacement of corrugated iron tanks. * Installation of damp proof courses, by either injection , or grouted pocket method. * Routine gardening and maintenance for the care of existing plants and planting themes. * The process of gardening; mowing, hedge clipping, removal of dead plants, disease and weed control, emergency and safety works. * Replanting the same species as the removed plant, and replacement planting which conserves the landscape character of conifers, and evergreen trees, as individuals, plantations and windbreaks. * Installation of new watering and drainage systems provided existing systems and fabric is retained and protected. The most intact sections of the older buildings that relate to the early period of occupation contribute most to the historical significance of the place. 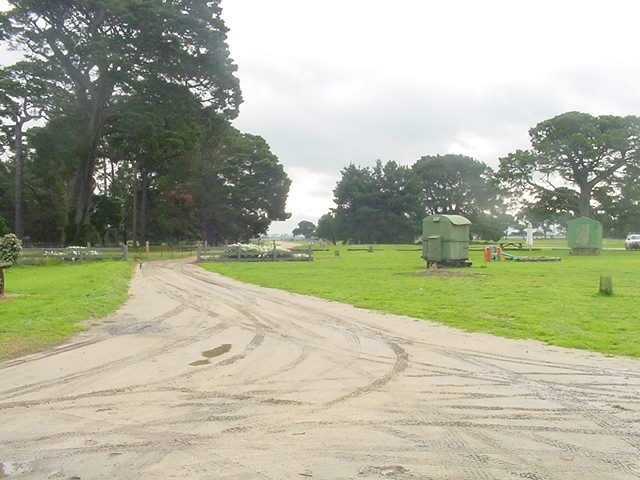 A permit application is required for any changes to these areas, which include the exterior of the main homestead building (B1), the interior of the older timber building (B2) and the stable complex (B3). Otherwise exemptions have been given for changes to those parts of buildings which have been altered substantially and recently. The landscape character including the conifer windbreaks and specimen planting’s make an important contribution to the particular character and significance of the place. These elements should be retained and maintained and any proposed changes will require a permit. The site generally has archaeological potential and as a result a permit will be required for any excavations for new paths, roadways, garden beds and the like. Evidence of early paths, roadways, fencing and fence layouts should be retained. Exemptions have been given for routine maintenance and gardening which do not impact on the above elements.